So you’re building a new conservatory on your house, you lucky devil. You’ve worked hard and it shows; time to add that whiff of luxury to your abode, taking it from “Honey, I’m house” to “Honey, I’m home”. Have you decided what you want yet? Perhaps an Orangery with a stylish Lantern roof, or an ever fashionable Victorian style? Well, don’t answer me. I’m just a blog. The question is posed because such an extension is a costly endeavour, albeit generally a worthwhile one, in some cases adding £15000 to the value of your house and an immeasurable metric of comfort to your lifestyle. As such, you’ll likely want to make the most of the new space. Conservatories are only as great as they are habitable, and finding the proverbial baby-bear’s-porridge temperature can be tricky. On the other hand, by reading this, you could be making it very simple indeed. You might think the prospect of sitting in a glorified greenhouse during winter is madness, but fear not. Rather, let’s plan ahead together with the top 5 best ways to heat your conservatory all year round. Solar Shading – Which way is your conservatory oriented? Have you a ledge above the outside of the window? If you can keep out the Sun’s rays at its highest point in the sky during Summer while still allowing them in the Winter, you can help regulate your interior temperature incredibly efficiently with little to no effort. Roof Insulation – Conservatories look best when made of glass, there’s no arguing with that. However, even double glazed glass bleeds heat at a rate of up to 8x faster than masonry, making your space less heat efficient and having a tiled or concrete roof, even with skylights in, can save you money on heating and do a small bit for the environment. Double Glazing – When we say double glaze you say “well duh”, but what type of double glazing? How big is your spacer? How thick is the glass? Is it dehydrated air in your spacing, or have you opted for inert gases such as argon? These details can be the difference between paying pennies and paying pounds, and we promise your windows won’t glow red like a Hong Kong high street. Now that’s been taken care of, we can discuss active heating options, based on their cost, output and efficiency. 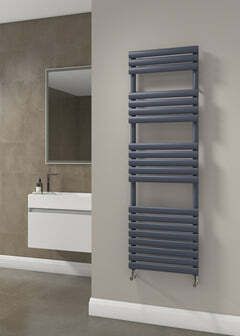 Our recommendation is, unsurprisingly, Central Heating Radiators, especially if you have a combi combustion boiler. The initial up front cost of plumbing the pipes into the conservatory might at first seem steep and a hassle – a quick Google search revealed that this is often in the region of £250 – however compared to the other options you might want to reconsider your stance. 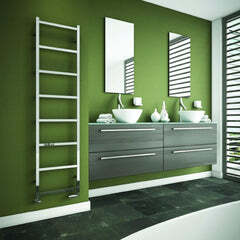 Yes, electric radiators don’t require this installation process, but in some cases by utilising low temperature settings and making use of passive heating techniques, consumers have saved £30+ a month on their energy bills owing to the cost-friendly nature of gas heating, meaning you’ll save that and more in the space of a single year alone, as well as using less energy than electrics. Their output is easy to regulate, especially with thermostatic TRV valves and beyond these specs, they’re familiar. And maybe it’s just us, but we think they can look great too. Here you might expect us to pull a fast one on you and suggest electric radiators – after all, we sell these as well as central heating right here on Great Rads. Electric radiators have their perks, and we are the first to sing their praises (spoiler alert, they come in at number 4). However, have you considered Heat Pumps? If you don’t plan on moving house in the future, these might be ideal. The total fee of product and installation can range from £7000 - £20000 (gulp), which is why we would only suggest such a thing if you are going to make the most of it. 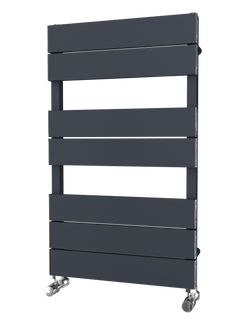 They are extremely energy efficient, offer one of the lowest running costs of all heating systems, and can regulate the space of heat distribution better than a Central Heating radiator by circulating the warm air around a well-insulated room. Working better in warmer weather but still popular in cooler climates (air source pumps can cool houses too and combine well with solar panels), they function by extracting pre-existing heat from the air, compressing it and recycling it. They also usually don’t need servicing quite as often as a boiler does. It’s not just for your conservatory mind, rather a complete or partial system overhaul; the efficiency, low running cost, ability to regulate and provide temperature throughout the space however makes this a serious contender. Only the brave reap the spoils (just make sure you do it right). Electric heaters! Perfect for those who don’t relocate their primary social and relaxation space to inside a glass box. The downsides of electric heaters are obvious – their running cost and their apparent inability to heat large, open areas. 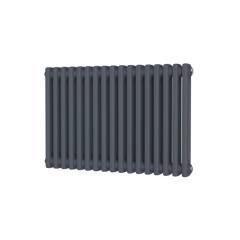 However, the design of Electric Radiators have come a long way in recent years, many of which have made the efficient switch to aluminium builds meaning they can warm more for less. However owing to the lack of insulation in standard Conservatories, it will need to run on higher for longer, eradicating any chance of finding a low temperature/comfortable temperature balance. Perfectly convenient, with fast heating and in many cases portable designs, the electric heater has its advantages and as such it’s worth your thought – specifically if you’ll spend enough time in there or whether it’s occasion only. The reality is that after Central Heating Radiators and Heat Pumps, the options available are very much context dependent (that is, until number 6). Under Floor Central Heating is more energy efficient than electric heaters based on heating over a long period of time – on the other hand, it takes considerably longer to heat up through concrete, concrete slabs, and as such you lose the spontaneous winter use of your conservatory. Under floor heating is more comfortable, heating your feet as you step into your new living area and is equally spread across your room, thus eliminating cold spots. This has down sides, however, specifically as a result of its slow heat up and cool down time, regulating the room temperature can be difficult which might eventually lead to open windows and doors, rendering the process of making your conservatory energy efficient pointless. It will cost less to run, but the installation process is lengthy, costly and will require ripping up the floor. Fantastic for modern open spaces with great insulation, such as open plan kitchens, as they operate at a low temperature on average than radiators which can convert to savings and a greener output. But when it comes to conservatories, they’re a tough balancing act. There’s a myth going around that they’re cheap and easy to fit and install on your own, which is only a half truth. Yes, you could insulate the floor, layer the mats, test them with one of your trusty resistance meters that everyone has just lying around the house, and fit perfectly to the dimensions of your room if you have the ability and know how to do so. However, you will still need a qualified electrician to make the final connections; a small job for a professional, but it’s not really in the spirit of DIY to have a professional out, assessing your handiwork and finishing the job for you. Then you have the price, which at face value is not much admittedly – however the running costs eventually cancels out this initial saving, especially considering the poorly insulated nature of conservatories. We aren’t suggesting that Under Floor Electric Heating doesn’t have its uses – it is popular in small, insulated rooms like bathrooms for a reason. However, if you’re spending thousands on a new conservatory, don’t be tempted by the initial price tag and lofty dreams of a presupposed self-sufficiency. It’s not going to happen.